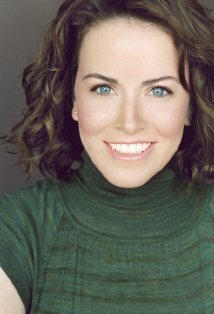 Crista Flanagan as Bonnie Hodges. James McAvoy as Sir Stephen Montgomery. Thomas Sangster from his Love Actually role as Viscount Henry Darrow. 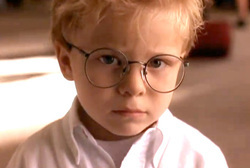 Jonathan Lipnicki from his Jerry Maquire role as Arthur Darrow. Bonnie is a dedicated letter writer and it's how Claire stays a part of the story! Read the second letter to Claire. I have to admit, I am not surprised that Mr. Knightly insisted so strongly on a short engagement. Did he actually show you the special license with the vicar standing right there? And over breakfast? I am gratified to know that you stood firm and insisted on waiting for morning lessons to be completed before any vows were spoken. I do hope that wedded bliss and the happiness of the recently wed softens your reaction to what I am about to say. I know I promised to come to Ridgestone once the guardian arrived, but I must beg the Governess Club’s patience. Sir Stephen Montgomery arrived eight days ago, yet I still do not feel the situation frees me to leave. I know it is not my place to say so, but I am worried about his ability to be an adequate guardian to the children. Since his arrival, he has shown little to no interest in the boys, unless they find themselves standing before him, which is rare. Sir Stephen spends his time either in the study, mainly with Mr. Renard, or on his horse, riding the estate. The only indications that the guardian has taken control of the household is the increase of servants and the paying of wages owed. I have already deposited my belated percentage into the joint account. Claire, he is so remote. Stern, silent, and awkward, so unlike the guardian I expected Viscount Darrow to appoint. Wouldn’t he want someone more like himself? They had been friends since school, but I cannot see it. I have seen him laugh only once. On his first day here, he returned from a ride with a piece of the ruined bridge; it remains in the study. The following day he met with Mr. Burdis for nearly two hours. When the butler left the study, he looked as though he had withstood an interrogation at the Tower of London. Based on this, I cannot leave. I cannot leave Henry and Arthur with a distant stranger. This goes beyond duty and I am sure you can relate. I care for Henry and Arthur. And I am all they have right now. I must remain. My conscience and my affection demand it. Please do not be angry with me. My intentions to come to Ridgestone remain unaltered, just the timeline in which I see myself joining you. I know Sara will understand, but I am counting on your level head to keep Louisa calm. She is bound to react poorly. Appeal to her compassion; what woman would leave children in such a situation? I do expect this letter to reach you before you leave for your wedding trip to Scotland, so I wish you a happy and safe journey. Sir Stephen is from Scotland; did I mention that? His brogue is not very thick, but it is there, so I suspect he is from somewhere in the Lowlands. But I digress. If this letter happens to reach you after your trip, I hope you had a memorable time and either way, I look forward to hearing all about it. Want to read more? Return to the top of the page for order links!